Kawhi Leonard wins defensive player of the year. 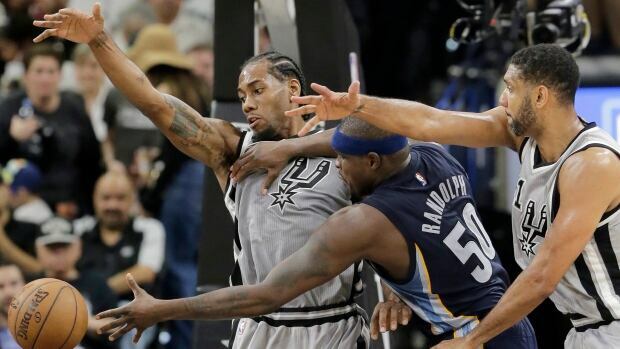 San Antonio Spurs' Kawhi Leonard wins defensive player of the year. On Monday, Kawhi Leonard became the first non-center to win NBA Defensive Player of the Year in consecutive seasons since Dennis Rodman in `1989-90 and 1990-91. "Just wanting to get better. Not settling for less. Always wanting more," an exhilarated Leonard told USA TODAY Sports. "Just trying to reach that team ultimate goal by winning an NBA championship." Leonard is the defensive leader for the Spurs, who allowed the fewest points per game during the current league, three points ahead of the Utah Jazz. The Spurs had the league’s best defense with 96.6 points per 100 possessions and with the presence of Leonard on the court, it only got better allowing 94.7 points per 100 possessions according to statistics provided by NBA. "Being able to guard guys for five years, you figure out what their tendencies are and what they like to do. You just try to disrupt them a little." Kawhi is presented the #KiaDPOY ???? before Game 2! He finished the regular season with 1.78 steals, 5.5 defensive rebounds and 1.0 blocks per game. He also averaged career-highs in points (21.2) and assists (2.6). He ranked fifth in the NBA in Defensive Real Plus-Minus as the only non-power forward or center in the top 25. Leonard was the first non-big man to win the award since Ron Artest in 2003-04 when he earned the honor last season. He is the first perimeter player to win two straight since Sidney Moncrief in 1982 and 1983. He is expected to be among the top-five in the MVP voting and possibly a first-team All-NBA selection. "To be in that group of Hall of Fame players, it means I can probably get there one day if I keep playing hard and staying focused," Leonard said.